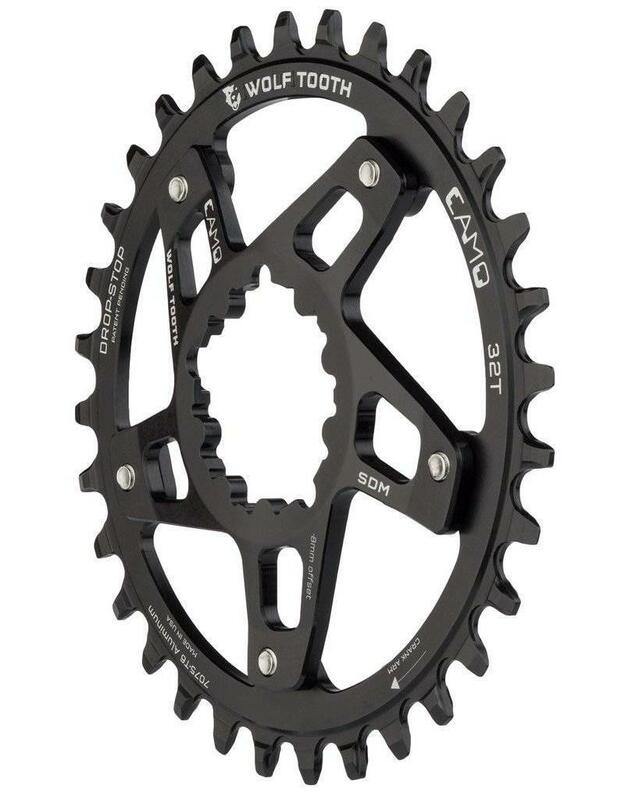 Note that this is a CAMO Chainring ONLY. A CAMO Spider is required to mount this if you don't already have one. 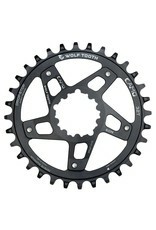 Swapping - Very fast chainring change out with 5 small bolts and no nuts. 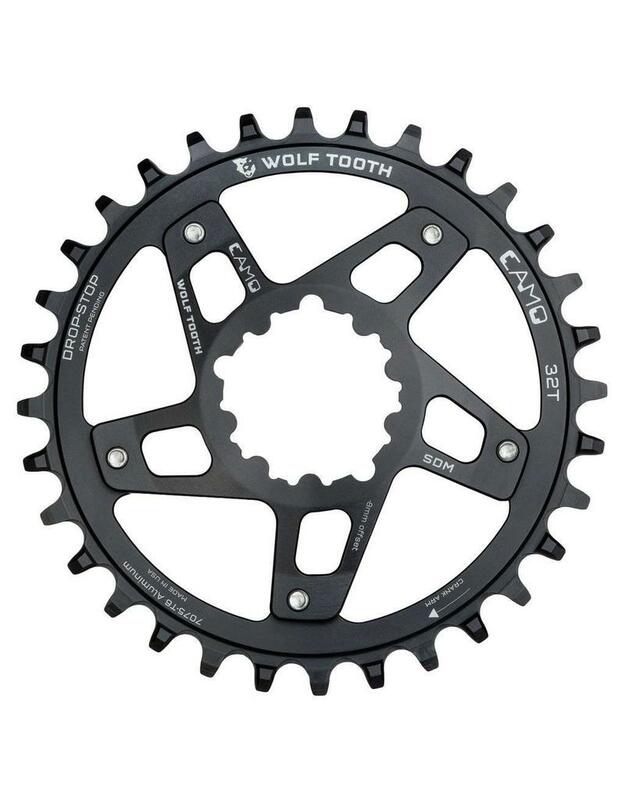 Availablity - Wolf Tooth is the one-stop-shop for your direct mount needs...round or oval, stainless or aluminum, and no matter the crankset. Bling!! - spider colors and bolt colors add a little flash to your sweet ride. 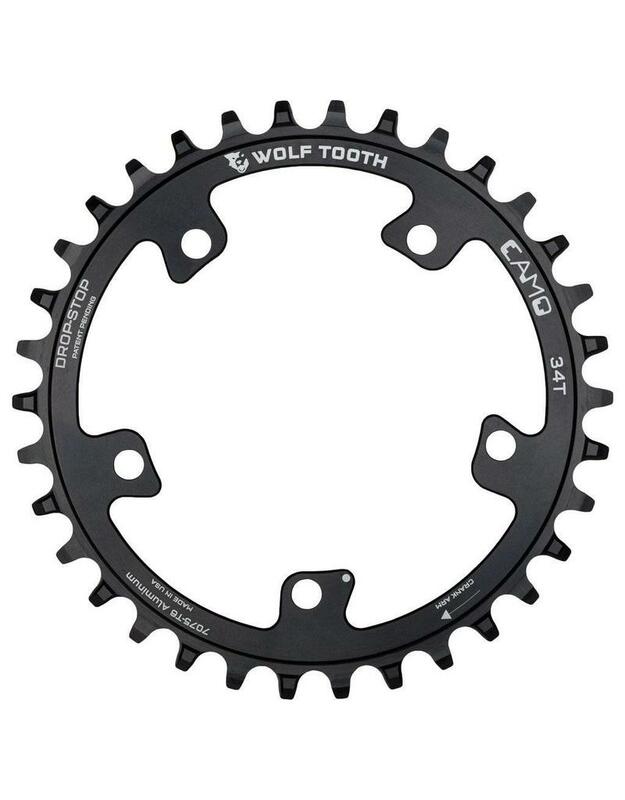 This is a chainring for the Wolf Tooth CAMO spiders. 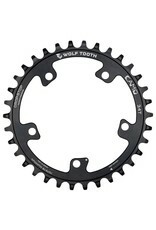 It is NOT compatible with any other chainring mountings. The CAMO spiders come with Stainless Steel Bolts. 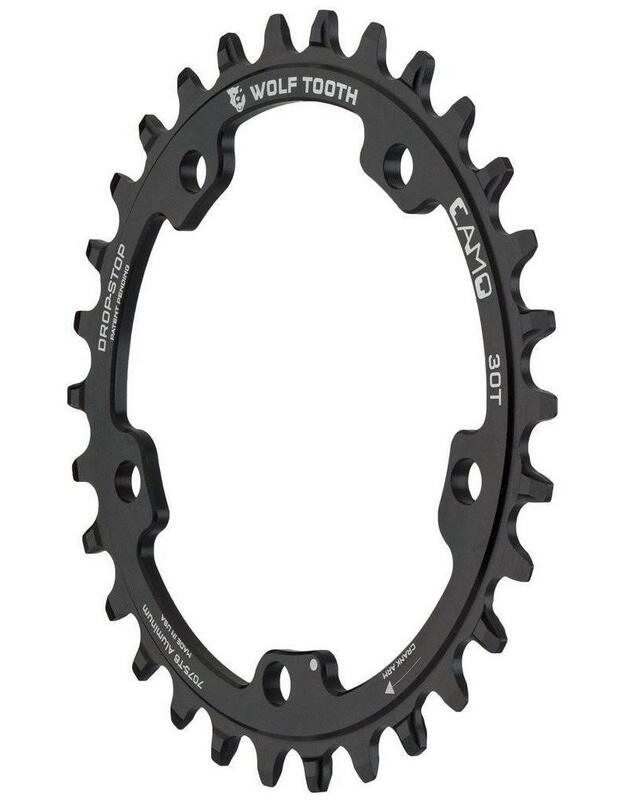 If using a 9 speed drivetrain use a 10 speed chain (shifts and works well on a 9 speed drivetrain and fits the ring tighter for better chain retention). The CAMO mounting bolts - Colored steel bolts coming soon! 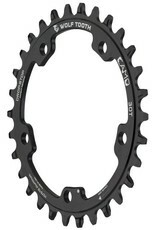 Recommend the use of a clutch style rear derailleur for the best chain security. If you plan to ride in very muddy conditions, we recommend a chainguide or chainkeeper in addition to a clutch-type rear derailleur! Without these precautions, you may experience chaindrops and/or chainsuck. Line up the little dot on the ring with the dot on the spider. Don't worry, you cannot install the ring in the wrong rotational orientation. 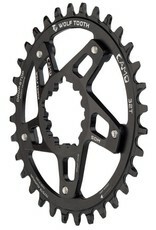 Be sure the bosses on the spider "plug in" to the chainring.